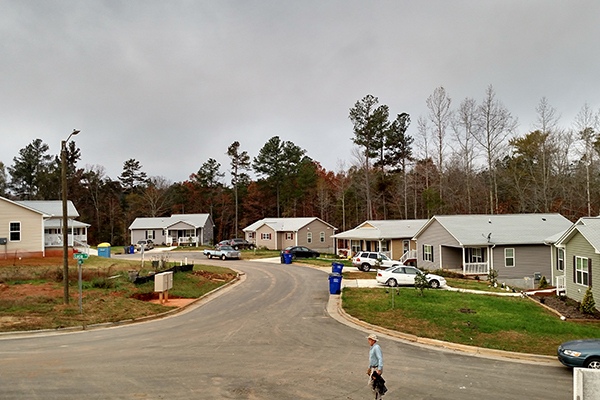 This year we began building a new neighborhood in Efland called Tinnin Woods. So far, the first nine families have closed on and moved into their homes. It has been amazing to watch the neighborhood come together. When it is completed, it will be home to 28 families. In July we celebrated an exciting milestone as Marty Smith and his two children moved into the 250th Habitat home in Orange County. 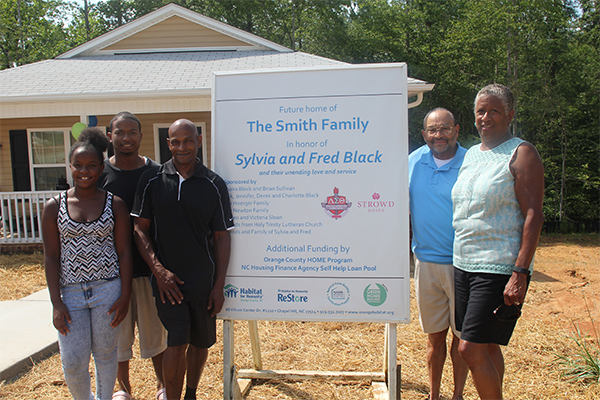 The home was sponsored by family and friends of Fred and Sylvia Black, in honor of their 70th birthdays and 50th wedding anniversary. Check out photos from the home dedication here. 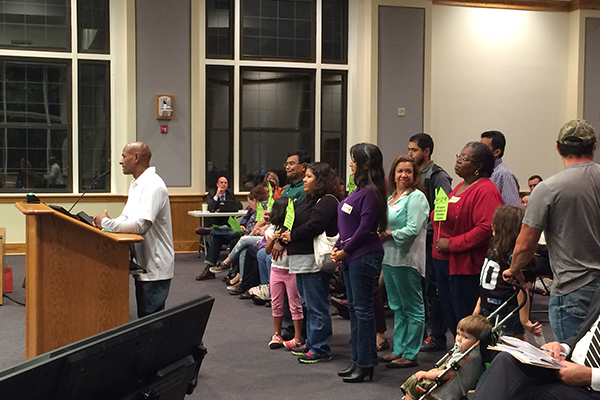 Habitat homeowners, volunteers, and board members spoke to the Orange County Board of Commissioners about adding funding for affordable housing to the 2016 bond referendum. Next year, we’ll be campaigning to get people to vote and approve it! We upgraded our look! 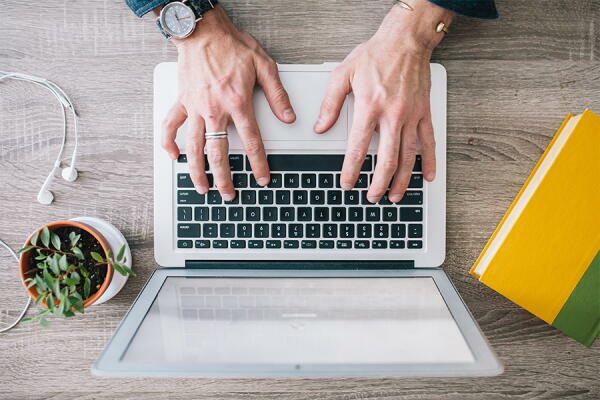 We hope this website gives users a better experience for volunteering, donating, and staying in touch with Habitat (it also gives us the capacity to make fun blog posts like this!). Rogers Road is a historic community in Chapel Hill which includes Phoenix Place and other Habitat neighborhoods. 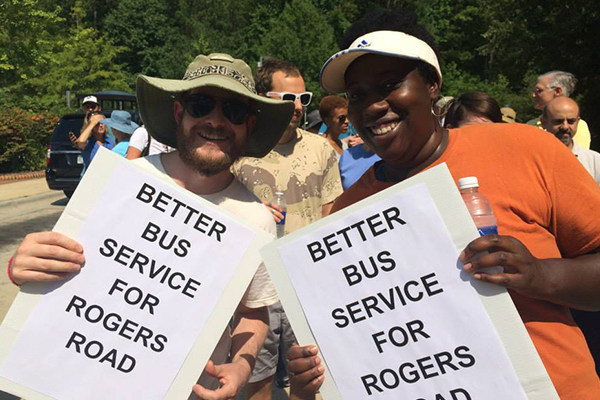 Earlier this year, residents expressed concern that buses did not come early or late enough for them to get to work. Thanks to advocacy efforts from multiple community groups, including Justice United and Habitat, the Town of Chapel Hill agreed to an additional hour of bus service in the morning and in the evening. This spring we hosted an awesome new event at University Place! 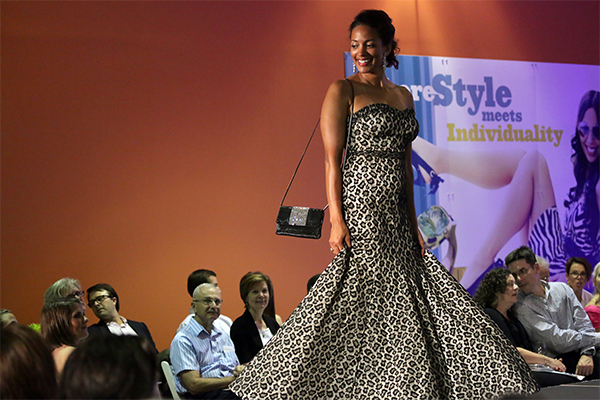 Local celebrities strutted their stuff on the runway in designer clothing from Fine Feathers and O’Neill’s. Check out photos of models such as Chapel Hill-Carrboro Chamber of Commerce President Aaron Nelson and seven-year-old show-stopper Vivi Gustafson. We’re currently planning our second fashion show for April 2016. This year we were one of 38 affiliates across the country to participate in the first ever A Brush with Kindness Week, sponsored by Valspar and Wells Fargo. 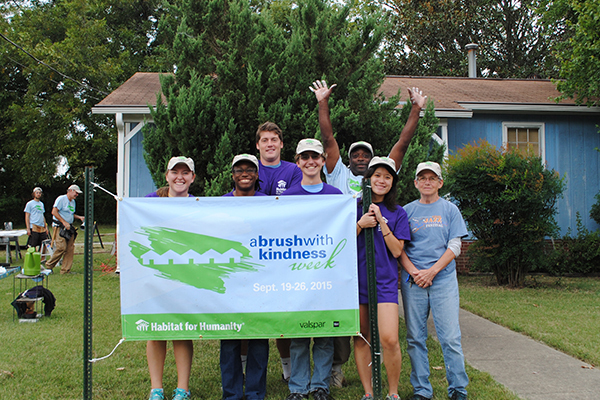 Volunteers painted four homes in the Northside neighborhood in Chapel Hill. Check out more photos from A Brush With Kindness Week here. We hope everyone has happy and safe New Years celebrations, and we look forward to working with you in 2016!